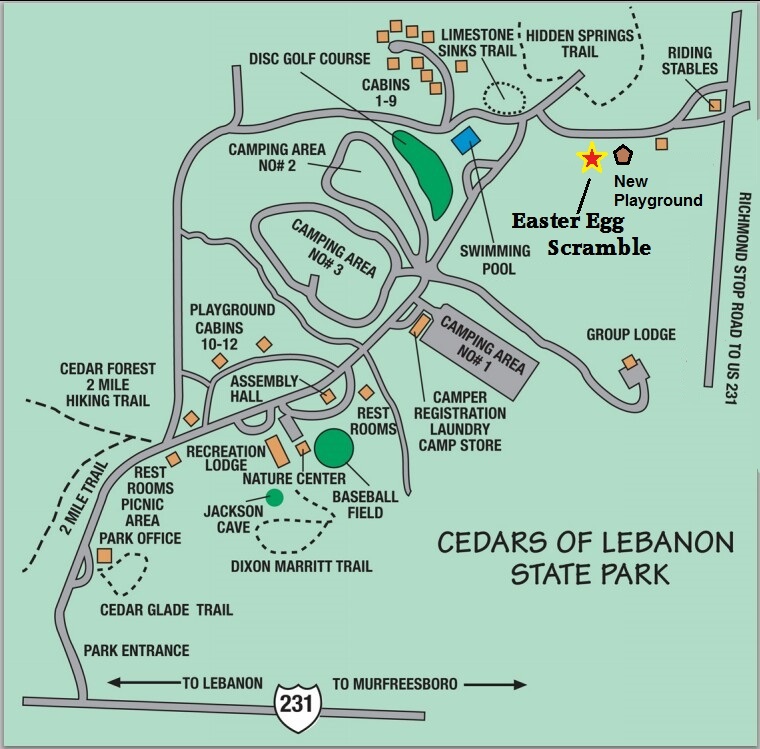 Don’t miss the Easter Egg Scramble at Cedars of Lebanon State Park on Saturday, 4 April 2015 at 1:00 PM. 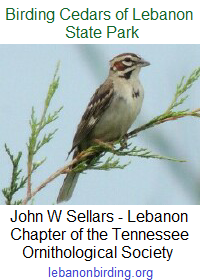 Kids ages 2-12 are invited to hunt the eggs and will be divided into three groups according to age. Toddlers will have an area all to themselves, and may be accompanied by one parent during the hunt. We have lots of candy (no chocolate) and eggs this year, more than 5X what we hid last year, and there will be prizes too. Bring your own basket or sack or something to gather your eggs in. This year we are hiding the eggs in a new location. We will be at the new playground and picnic area on the hill, between the swimming pool and the horse stables [ See a map here ]. Limited parking is available near the new playground, but there’s plenty of parking at the east end of the swimming pool parking lot across the road. The Easter egg hunt will begin at 1:00 PM, so be sure and get there early enough to park and make your way to the new playground area.